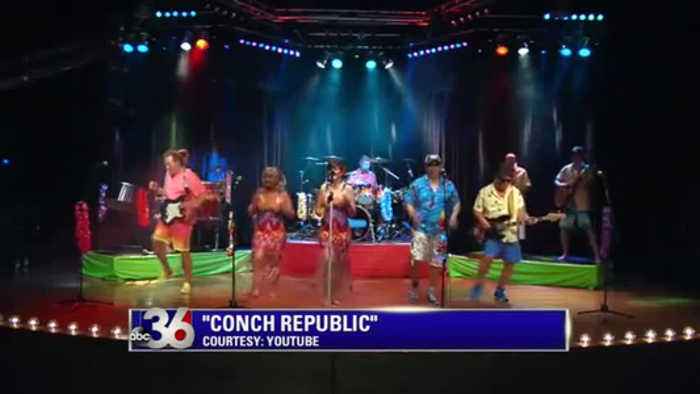 THERESA THOMAS, THE EXECUTIVE DIRECTOR OF THE BLUEGRASS COUNCIL OF THE BLIND AND PAMAMA THOMAS, THE LEAD GUITAR PLAYER, "CONCH REPUBLIC" STOPPED BY TO GIVE US THE DETAILS ON THEIR 7th ANNUAL SEE CRUISE. If you liked what you heard -- good news -- there's more of that at an upcoming event. Theresa thomas is the executive director of the bluegrass council of the blind.... which is putting on an event -- that includes music... and c1 3 much more. First, tell us about the 7th annual see cruise event... c1 3 started 7 years ago, how? What can folks expect at the event? C1 3 is that maybe there i'm going t be suffering some vision loss due to macular degeneration are diabetes and their i'm sure tha to fact where there were people that have experienced the same types of challenges that answer as a friend and daily living get how to get daily life. A great resource for sharon my how do they get be part of somethin like oh it's always a great time itself treason are very and him so we us together. Although the secret is was her idea. She brought it into your bring the band in i would which is always a great time. It's exciting fun we figure everybody a little bi because republicans that we jus would bring it out. I love that i the other services that offers get this is something that is catered to, i cannot post right here in our community. This is an something over spending money on local absolutely relocated on broadway and very easy to access and one of the key things is that we like the people know people of vision impairment. Even if you're not legally blind. You may just recently need the diagnosis in your i'm sure drive you can do anything they you're not really sure wha to back on the the name bluegrass line is that the client lying sack that service people at all stages of vision impairment and all types of again and let it over the on the details of the other coming up when and where is it an answer. It is a $20 donation at the door become that are boarding and the banners on boston road. It is on sunday, april 28 from 48 from 40 8 pm and the band playing for kvm is the feedback eight you'll be asked to know you are presenting.